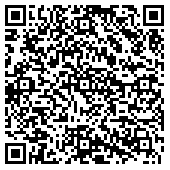 Café Cortina is an inspired Italian countryside vineyard setting in Farmington Hills. Founded on the site of a former apple orchard in 1976 by the Tonon family, Café Cortina was the venue for Scott and Marthe’s wedding last month. 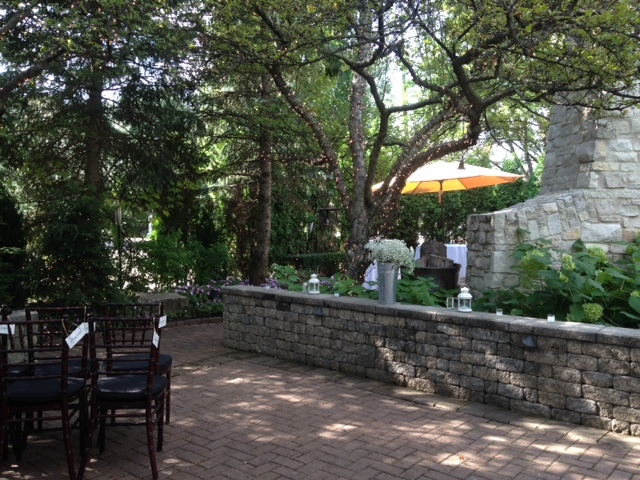 The outdoor patio proved to be a perfect setting for an elegant and timeless wedding ceremony and cocktails prior to the dinner. The bridal party wore stunning gowns of grey and ivory and walked to Schubert’s Ave Maria. Marthe, a Beatles fan, walked with her father to “The Long and Winding Road”. 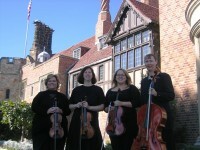 Following the ceremony, we played for the dinner beside the French doors of the dining room. They were a receptive audience and made requests, applauded and truly embraced the music and festivity. 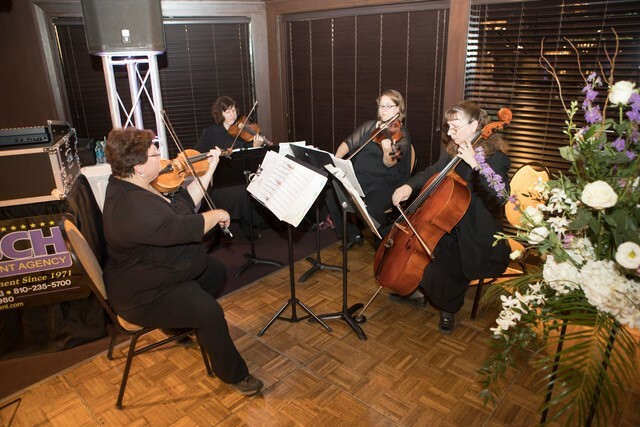 We were honored to play “In My Life” for Marthe and her father’s first dance, “What A Wonderful World” for Scott and his mother’s dance and finally, a personal favorite for the bride and groom. 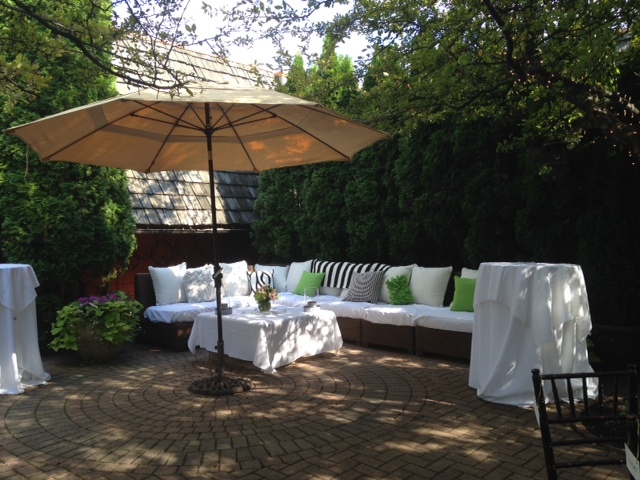 It was a beautiful night for two lovely families who made us feel like a welcomed part of the celebration. 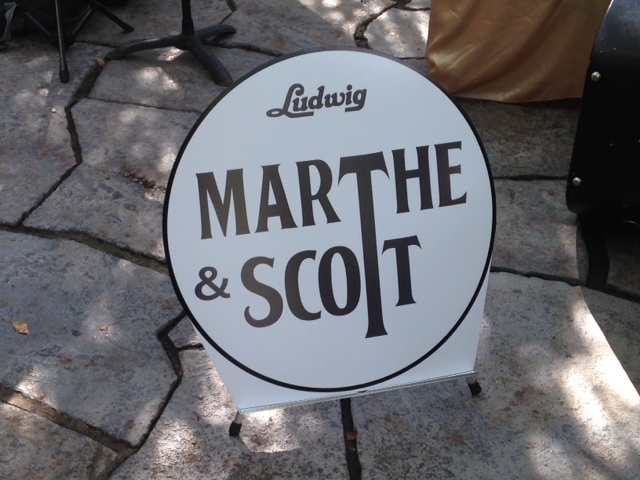 Our best wishes to Marthe and Scott!